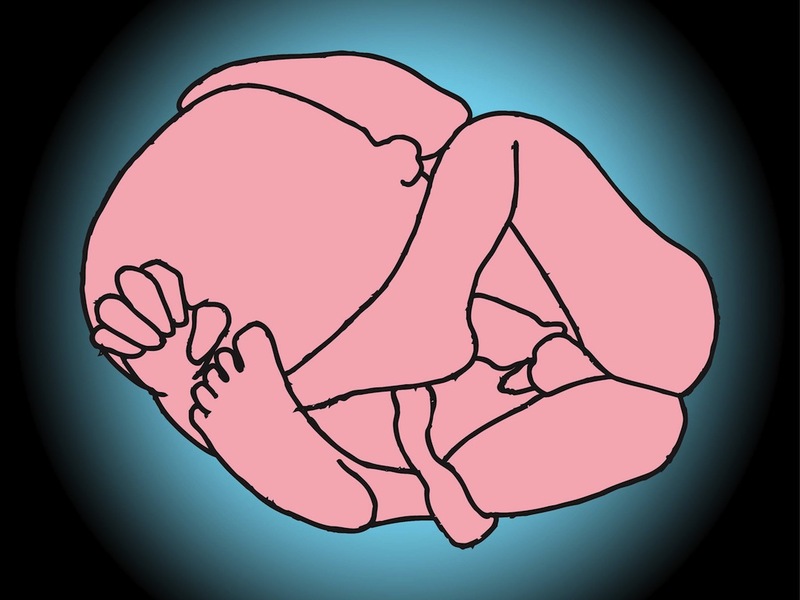 Medical cartoon illustration of a human fetus in a typical position. Vector graphics of the unborn child with its hands and legs pushed close to the torso, hidden face and head. Free vector illustration for all fetuses, giving birth, children, parenting, babies and pregnancy designs. Download fetus vector for posters and flyers. Tags: Child, Expecting, Fetus, Human, Kid, Medical, Motherhood, Pregnancy, Pregnant.